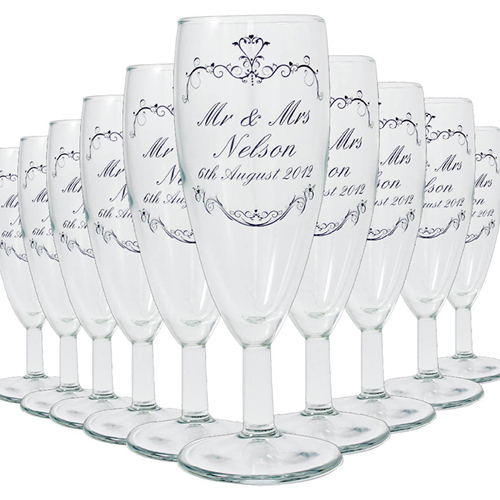 Personalise this pack of 10 toast flutes with any message over 3 lines up to 20 characters per line. The first 2 lines are in bold. Each flute is personalised with the same message.